The Trump administration failed to address the insurance industry's most pressing concerns in a rule aimed at stabilizing the individual marketplace created by the Affordable Care Act. “Right now, plans are missing key pieces of information to make smart business decisions for 2018,” said Ceci Connolly, CEO of the Alliance of Community Health Plans. Most need to decide before March whether they'll stay on the exchanges. A rule released Wednesday but leaked a few weeks ago hoped to appease insurers looking to curb the number of sicker people who sign up for coverage. Wednesday's rule, meant to help stabilize that market by evening out the risk pool, would shorten the enrollment period for 2018. Instead of lasting three months, it will start on Nov. 1 and end on Dec. 15. That allows consumers to receive a full year of coverage and makes it easier to process enrollment. 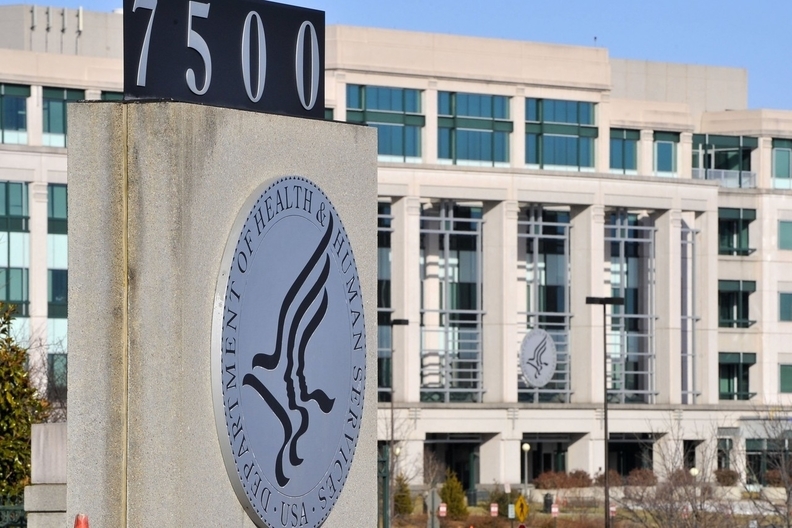 Officials at the CMS considered allowing enrollment next year to remain open from Nov. 1 to Jan. 31 as planned, but ultimately determined that an immediate change would improve the risk pool and ease insurers' concerns. The White House appears to be offering insurers a reprieve while Congress attempts to coalesce around a plan to replace the Affordable Care Act. The rule only has a 20-day comment period that ends March 7, indicating that are attempting to get these changes in place as quickly as possible. But the issues that matter the most to insurance industry folks were not addressed. Top among them: maintaining and enforcing the individual mandate that they say would truly level out the risk pool by drawing in young healthy individuals. That is imperative as long as market rules continue to prevent insurers from rejecting those with pre-existing conditions. Also on the list was the continuation of cost-sharing subsidies. None of that was addressed in the rulemaking, Connolly noted, saying her members were concerned that the Internal Revenue Service recently announced it wouldn't reject tax returns that fail to respond to questions about healthcare coverage. The IRS was following President Donald Trump's executive order directing agencies to “exercise all authority and discretion ... to waive, defer, grant exemptions from, or delay the implementation of any provision or requirement of the (Affordable Care Act) that would impose … a cost, fee, tax, penalty, or regulatory burden on individuals, families” and others. Patient advocacy groups slammed Wednesday's rule. "The Trump Administration is deliberately trying to sabotage the Affordable Care Act, especially by making it much more difficult for people to enroll in coverage,” Ron Pollack, executive director of Families USA, said in a statement. “By making it harder to enroll, they are creating their own death spiral that would deter young adults from gaining coverage, thereby driving up costs for everyone. Marilyn Tavenner, president of America's Health Insurance Plans, recently asked Congress to address the uncertainty surrounding regulation of the individual insurance market created by the ACA. On Wednesday, she lauded the efforts. "While we are reviewing the details (of the rule) ... we appreciate the administration's efforts in proposing policies intended to address stability, affordability and choice, helping consumers get the coverage they need,” she said. The rule tightens enrollment eligibility. Anyone who signs up during special enrollment will be subject to strict documentation. To that end, the agency is expanding a pilot announced last year that tests the impact of stricter verification. The agency had planned to have only 50% of new applicants during special enrollment periods submit documents before their coverage begins. The agency now proposes to expand that to 100%. That move is estimated to result in an additional 650,000 individuals having their enrollment delayed every year until eligibility verification is completed. Insurers say both issues are key to discouraging people from signing up when they realize they need costly medical services and then dropping coverage after they receive care. The rule also allows insurers to refuse to cover persons who haven't paid their premiums. The issuer would have to apply this policy to all employers or individuals regardless of health status. However, the rule acknowledges that this provision may require a change in some state laws. It will also not apply to those with coverage via the federally facilitated Small Business Health Options Program due to operational constraints. Health plans will also get more flexibility in creating products to sell, meaning they'll no longer be tied to levels of coverage mandated by the ACA. The rule also proposes that responsibility for network adequacy (making sure plans offer enough providers and a good variety of them) would shift from the CMS to states. Insurers currently must meet both federal and state standards on network adequacy. That will reduce administrative burdens, said Dan Mendelson, CEO of Avalere Health. The agency also proposes rolling back a CMS requirement for providing access to “essential community providers,” which serve predominantly poor and medically underserved neighborhoods. Plans sold through the federal exchange have been required to include at least 30% of such providers in the territory covered. The Trump administration wants to lower that to contracts with at least 20%, which was the standard in 2014. If plans fail to provide that level of access to essential community providers, they'll need to provide an explanation as to why their product should still be allowed to be sold on the exchange. The CMS will then determine if that explanation is adequate. On Tuesday, just hours after calling off its billion-dollar merger with Aetna, Humana announced it was leaving the ACA marketplace starting in 2018. Aetna also pulled out of exchange plans in 11 states for 2017. Aetna CEO Mark Bertolini said he was optimistic that Congress was committed to fixing the exchanges. "For far too many Americans, the ACA has not lived up to its promise of providing affordable health care coverage," he said, adding that the rule was a good first step. Stock prices for Aetna, Cigna, Centene, Humana and Molina Healthcare—all publicly traded plans operating on the marketplace in 2017—were up after the rule's release Wednesday morning, while shares in Anthem, a major ACA marketplace player in 14 states, fell.